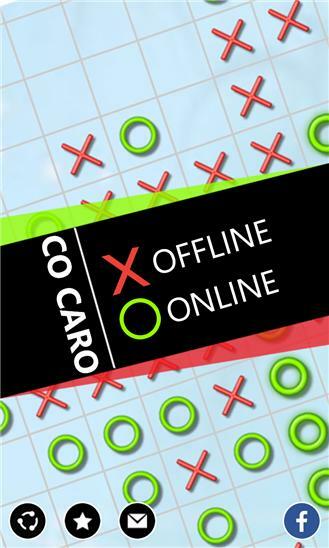 Co Caro is a simple but highly addictive game with an easy-to-get and hard-to-master mechanism. It is also known under various other names such as gobang, gomoku, tic tac toe, five in a row, omok… The rules are very simple: both sides takes turn go on the checker-desk table on the unoccupied squares. Whichever side reaches five marks on a single row, whether it is horizontal, diagonal, or vertical win. Functionalities: Robust support for touch screens. Pinch to zoom and pan to navigate. Support for multiplayers on single devices. Winning-move indicators. Undo should mistakes are done. Highly advanced AI. Hardest levels are almost impossible. Play online - takes your wits and go head on with champions. 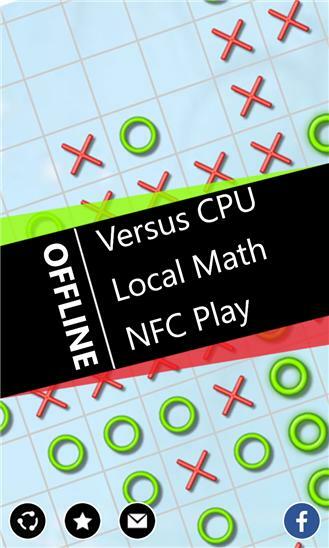 Bluetooth and NFC - pair two Windows Phone to go head-on against one another!